One of the first Mother’s Days I remember is one where we were having a family get together. 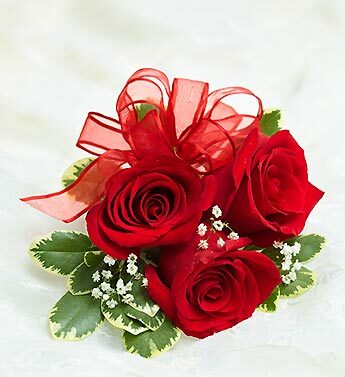 My grandmother was wearing a Sunday dress which was adorned with a beautiful rose corsage. It’s funny the things you remember when you are 7 years old. The excitement in her voice and the smile on her face revealed the pride and joy of the celebration of being a mother and a grandmother. At the time, the meaning of the day didn’t make much difference to me. I was just glad to be visiting my grandmother and grandfather and playing in their yard and barn. It was a fun day for a little boy. I got to see my cousins and play with them too. We all ate great southern food prepared by our moms and aunts and grandmother. I think I managed to keep my Sunday clothes intact, but I’m sure the knees of my britches were faintly stained from sliding on my grandparents St. Augustine grass. My little brother and I were tired little troopers riding back home on Highway 16. It had been a great day for my mother, my aunts and my grandmother. It had been a great day for everybody. That would be one of the last big gatherings at my grandparent’s home in Griffin. My grandfather passed away soon after and my grandmother’s health began to fail and she would come to live with us. Those few years she lived with us were a blessing for our family. My grandmother Daniel was a deeply religious woman. I remember her sitting in a high back chair in the living room and reading her Bible. She would also teach me a great deal about the Bible and its teachings. She would patiently read from her Bible and then she would try to translate the meaning to the little ears of her grandson. I would sit and kneel next to her chair and wait for the next passage to pass through her lips. Sometimes, my other grandmother, “Bon-Bon”, would drive over from her home in “Pep” and sit and visit. I would watch both of my grandmothers chatting together and remembering old times when they were younger ladies. My mother would be cooking supper and she would occasionally chime in on the conversation. My father would walk in the door soon from his days work and we would all sit down to supper. From my best memories, I don’t recall seeing my father very emotional with my grandmother. He would speak to her in a matter of fact manner and I don’t remember him hugging her or sharing any physical affection. It was just the way he was I thought. I remember the last time I saw my grandmother Daniel alive. She was on a gurney leaving our home and being placed in an ambulance. She passed away soon after. On the day of her funeral, my father was solemn and cordial with all of the family and friends who came for my grandmother’s service. As the family gathered around right before they closed the casket, my father walked up and bent over and kissed my grandmother on the cheek. He remained bent over and he was speaking to her. I couldn’t hear what he said. He stepped away and they closed the casket. I remember looking up and seeing the tears in his eyes. Until then, I guess I didn’t understand fully the love he had for his mother. The love that starts from the moment your mother cradles you in her arms. As the years went by and I grew older, my father would talk more about his mother and the memories he had of her. As he began to mellow as he grew older, the love he had for her would flow tenderly over his lips. I don’t know how many more Mother’s Day’s that I will be able to share with my mother. I count each one special and I am reminded of the love that my father had for his mother. A love that was revealed to me as I watched the last kiss from a son to a mother.